In Part One, I shall outline the history of the Jersey Dispensary and Infirmary, (JD&I), and of the institutions which followed on the same site — the Maternity Hospital and Le Bas Centre. In Part Two, I shall relate various personal stories and anecdotes connected to the site, gathered in the course of my researches, and in Part Three, I give the recollections of Mrs Christine Moulson, who has most kindly agreed to my using her material here (see also her article in the Jersey Hospitals Nurses League Magazine). 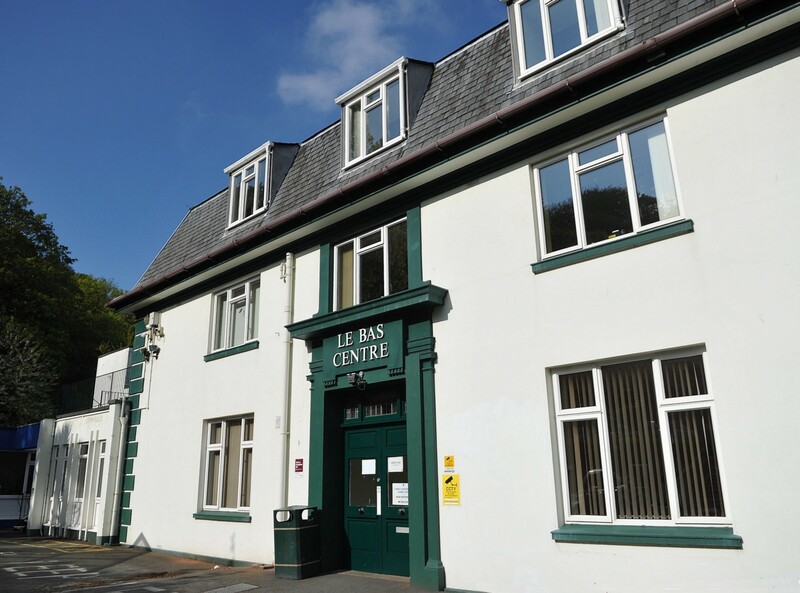 I worked at the Le Bas Centre as a Midwifery Tutor and Deputy Head from April 1986 to its last day and transfer to the Jersey General Hospital in October 1987. I again found myself working there from 2000 to 2003 as part time Education Manager for Family Nursing and Home Care. The building and its history have proved very interesting, as has the information privately received, and the interviews I conducted with staff and patients, to all of whom I am most grateful. This was an organisation that served and enriched the whole community. Starting in one small house, the Dispensary gradually developed and became the Infirmary, at first with just one bed, taking in its first inpatient in 1868. 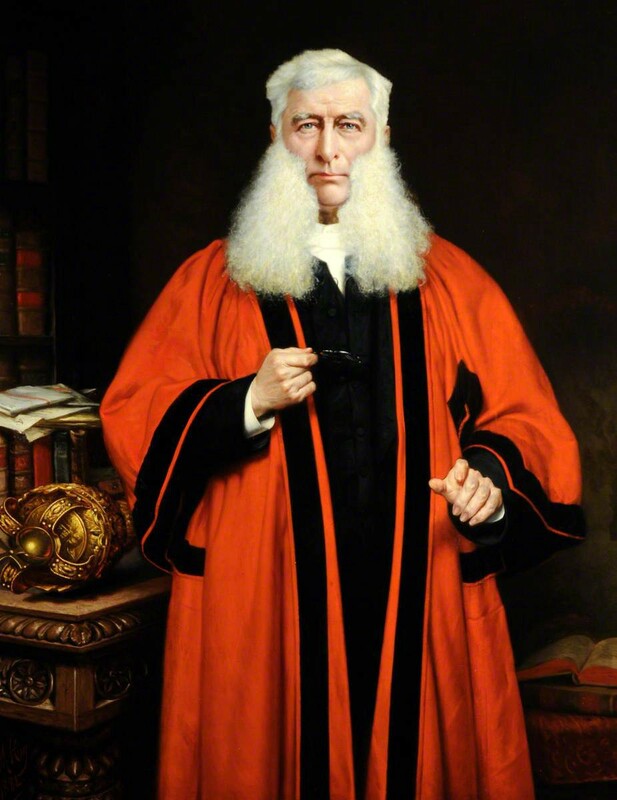 The institution owes its inception to a band of far-sighted altruists who, in 1860, under the leadership of Mr John Hammond, bailiff, established the original Dispensary. Initially, work was being carried out in four rooms at 51 Bath Street under the direction of Dr R Batho, who was the first resident medical officer. Treatment, however, was not given in that small space; anyone living less than less then 1 mile from the Royal Square had the advantage of medical attention at home when they fell ill. The urgency of the need that had been supplied was proved by the number of cases treated, both at the Dispensary and in private houses, this amounting to more than 4,500. To meet increasing medical needs more medical officers were appointed. The chief difficulty in the early days was a lack of capital. Appeals brought in numerous donations and legacies, too many to list here, but details can be found at the Jersey Archive. A whole 20 years elapsed before the development of the Infirmary. April 1887 saw larger premises in Aquilla Road and by the end of the year two wards containing nine beds and a cot were in occupation. This house was the Penitentiary, formerly belonging to a Mrs Thorne, which she offered to the Infirmary in 1886 for one year with the option of purchase. In 1906 the amalgamation of Westaway Crèche and the Infirmary was proposed, negotiations lasting until 1914. However the plan was finally dropped owing to the diverse views of the Committees. In 1910, a generous gift from a Mr E Collas resulted in Collas Ward being opened for women. Interestingly, the name continued in the new JD&I and still continues today in the General Hospital Maternity Unit. The Le Bas Centre — though the building was not generally known by that name until much later — is named after the benefactor Charles Godfray Le Bas, who as early as 1913 presented the building site in St Saviour’s Road on which it stands, and in 1922 left the Infirmary richer by £10,000 towards erection costs. Proposals for a block of new buildings on the site had been under discussion since 1914, when the Advent of the Great War made all such plans impossible. Certain conditions attached to the Will threatened to hold up operations yet again, since the £10,000 was not to be paid into the Institution’s account until the Authorities had in hand enough money to erect the new building. Another interested supporter, Mr.Trevor Matthews, stepped into the breach at this point, however, and saved the situation by promising to execute the building contract at a nominal figure, himself making good the deficit. It was now possible to proceed, and this resulted in part of the fine building we see today, although it has since undergone several upgrades and extensions to suit purpose over the years. It was stipulated that the Association should erect the building ‘within a three year period from 25/12/1914 but that in the event of outbreak of war the said buildings…’ of course, war did break out and so the buildings of JD&I were not completed until 1925. The builders were to be Messrs. Jesty and Baker, and the architect Mr Sydney Newcombe. 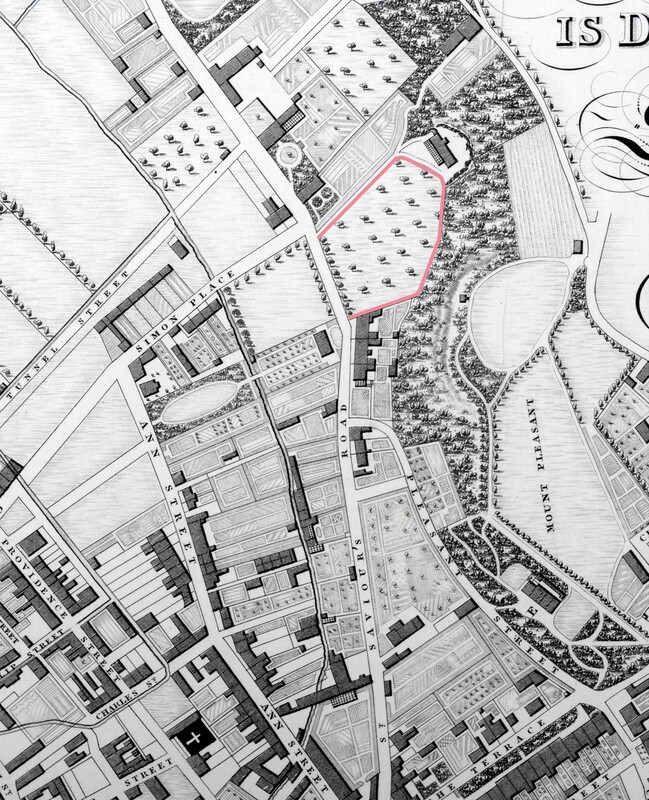 As soon as Newcombe had been commissioned to draw up plans for the new Dispensary and Infirmary on St Saviours Road, he had given much of his time and his holiday, and worked from early morning to late at night. He also gave a generous contribution to the funds of the institution. Newcombe married Florence and lived in St Clements Gardens — an estate built to his own designs; he was also a watercolourist who exhibited at the Royal Academy. He died in October 1939. The new building was opened on 2nd September 1925 by the Lieutenant-Governor of Jersey, with the Dean and a large gathering of local worthies. As well as Mr Le Bas, Sydney Newcombe was highly praised in the speeches for his dedication and his generous donation to the project. The new infirmary was sited amid tastefully planned gardens and stretches of lawn. 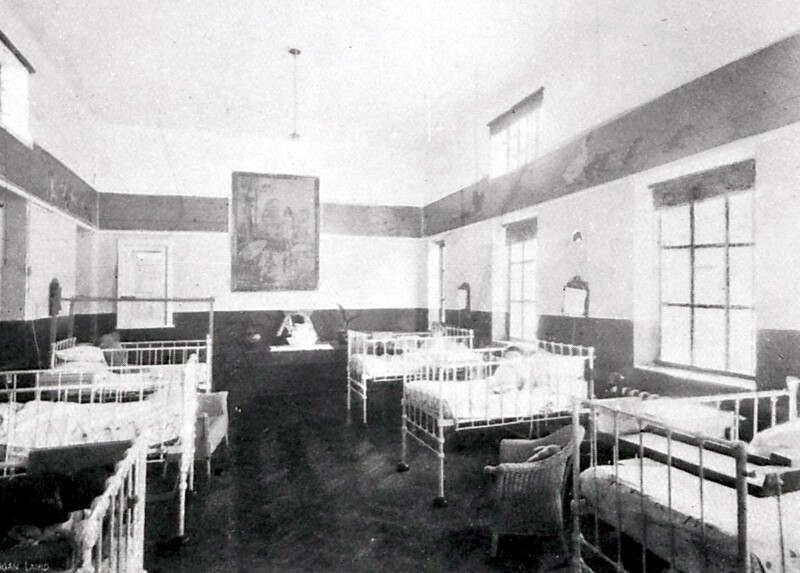 The building comprised three private wards, two 12-bed wards, a 6-bed children’s ward, and staff accommodation. Just before the building operations were completed, Mr Mathews offered to add an X-ray block and electro-medical department in addition to the operating theatre. The premises were further extended with the generosity of the late Mr. W E Guiton’s relatives. Much valuable new apparatus was obtained, including an independent X-Ray Tube Stand, a Kromeyer Lamp and an Infra-red Ray Generator. The equipment was such that it compared favourably with that in any comparable Hospital of a similar size outside London. This resulted in a rapid increase in the number of treatments, according to official figures, from 3,021 in 1929 to 4,380 in 1930, while the number of patients treated during the same years went from 722 to 985. It was gratifying to note that 23% of these 985 patients received free treatment, whilst other deserving cases had their fees reduced to half or even less by the Committee. Gratitude was also extended to Colonel Stamburg and Sister Lowery, who had given valuable service to the Electro-Medical Department. Treatments in the Infirmary… 555 (365 needing operations). Average length of in-patient stay… 15.8 days. Average cost of in-patient stay… £2 15s per week per head. Total cost of upkeep… £3,731 1s. 8d. Voluntary subscriptions… £615 4s. 5d. Donations, incl. Rose Day… £610 10s. 0d. The JD&I rejoiced in the possession of a keen and capable administrative body, which combined high efficiency with rigid economy. The Patron (His Excellency the Lieutenant- Governor), the President (The Very Rev. The Dean), and the ladies and gentlemen who represented the Governors on the Committee, all worked harmoniously to further the aims of the establishment. They were aided by an enthusiastic medical and nursing staff, whose technical skills were tempered with a sensitive humanity, so valuable to all in healing work. The social atmosphere of the institution was one of marked comradeship, and the geniality that pervaded the wards lent patients that mental and spiritual optimism which is a good basis for recovery. 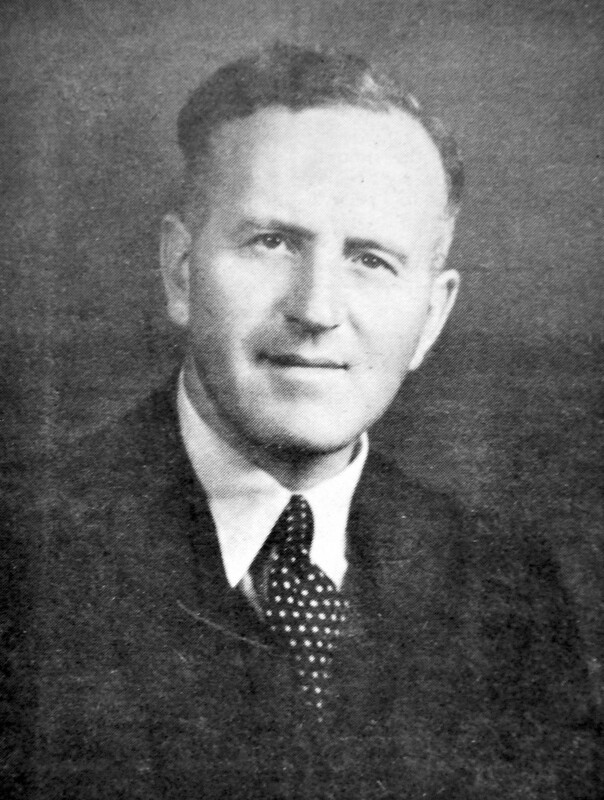 Dr. John Lewis came to Jersey in May 1935 as a General Practitioner to join a thriving practice in partnership with Dr J.J. Williams. He married in October 1938, then began running a free clinic, which built up his practice. By July 1940 the JD&I had become a maternity hospital, with maternity care being transferred from the General Hospital, when German forces had taken over part of it for their own use. Miss Elizabeth (Betty) Thornley, who had joined the JD&I in 1938 now became Matron of the Maternity Hospital. Dr Lewis was the medical officer in charge, appointed by the then Medical Officer of Health, Dr. R. M. McKinstry. In his book, A Doctors Occupation, Dr. Lewis says that soon after the Germans arrived, they took over much of the General Hospital and mothers were hastily transferred to the JMH, many being in poor shape and suffering from puerperal fever. A mother was never lost, but some new admissions became infected. The building was made ready to accept new patients, and in spite of a shortage of almost everything, especially towards the end of this time, there was no serious infection of any sort for the rest of the Occupation. 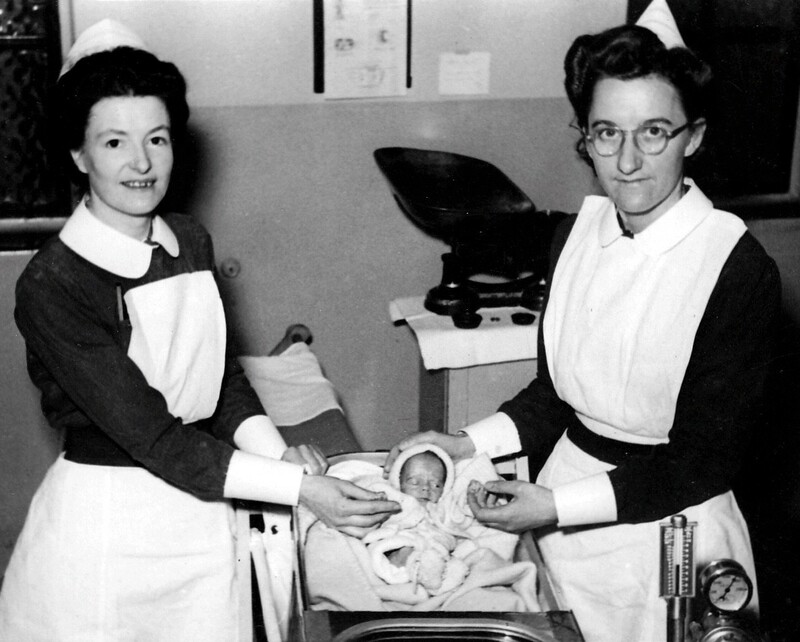 In January 1947, Joan Ann Collas became the 2,000th baby to be born in the Jersey Dispensary. To mark the occasion, she was presented with a silver cup by Lady Grasett, wife of the Lt. Governor. The child’s father, seen here, had been a prisoner of war in Japan for three and a half years, and worked on the infamous ‘Railway of Death’ from Siam to Burma. 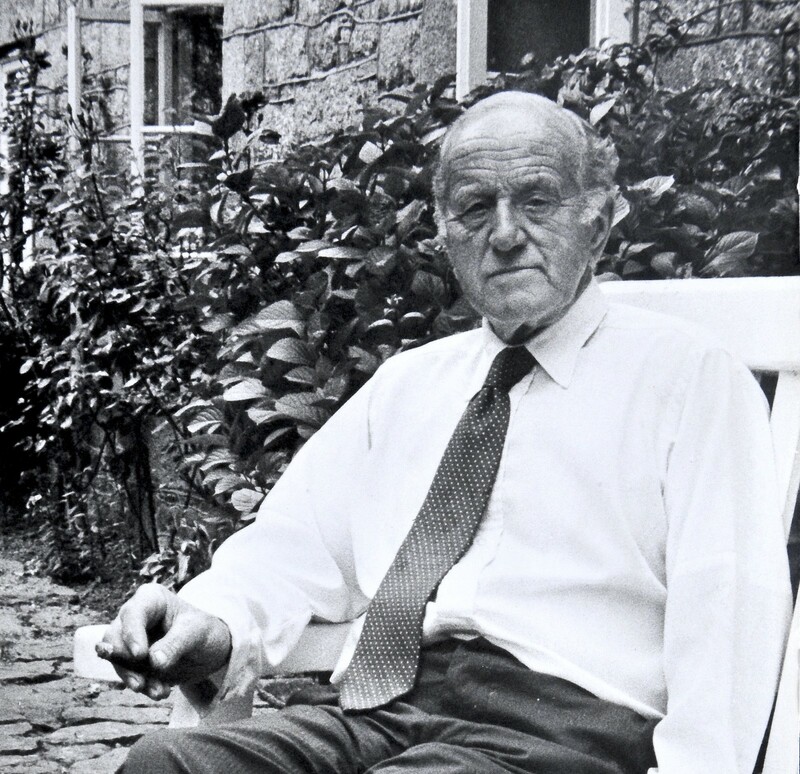 In the post-war years, both Dr John Lewis and especially Matron Elizabeth Thornley gave advice on remodelling and modernising the building, producing a result that was widely admired. Ministry of Health officials declared it the equal of any maternity hospital in England. In 1947 there began new extensions to the maternity hospital, designed by the firm of Grayson and Le Sueur. The extensions were confined to one side of the original Edwardian buildings, as no encroachment was permitted on to the existing, well laid gardens. The planning had therefore to be somewhat cramped. The peculiar shape of the delivery suite was dictated by the position of existing structure and the need to let sunlight in. The architects, Mr. A. E. Le Sueur and Mr A.B. Grayson were both bachelors at the time. They presented a silver spoon to the first baby to be born in their extension, a Miss Susan Jane Baker, later Sue Strattford. 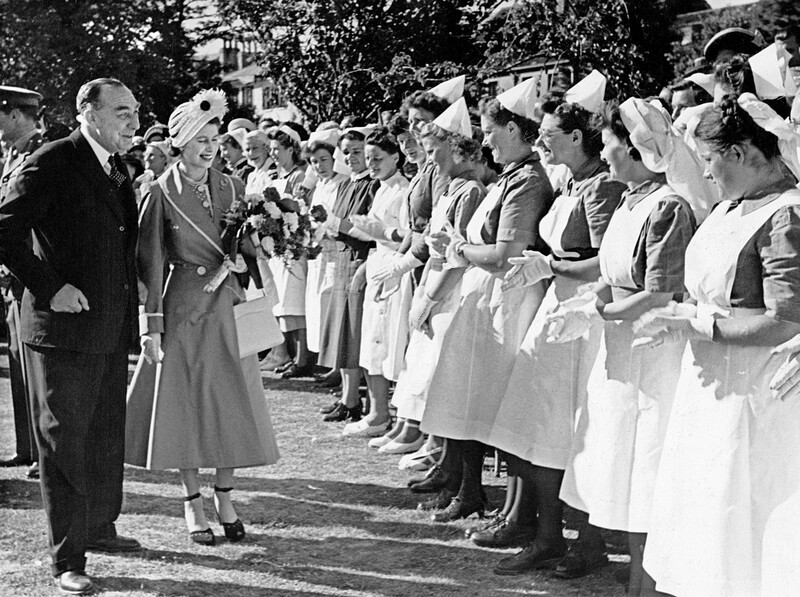 In June 1949, on the visit to Jersey of the then Princess Elizabeth and Prince Philip, Maternity Hospital Matron Elizabeth Thornley and a few of her nurses were presented to the royal party at a reception in Howard Davis Park. 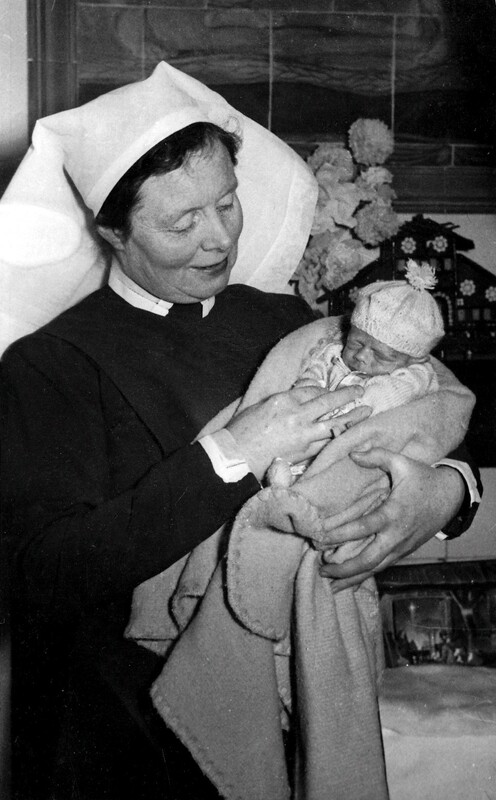 In 1953, Betty Thornley was awarded the MBE for her work at the Maternity Hospital. 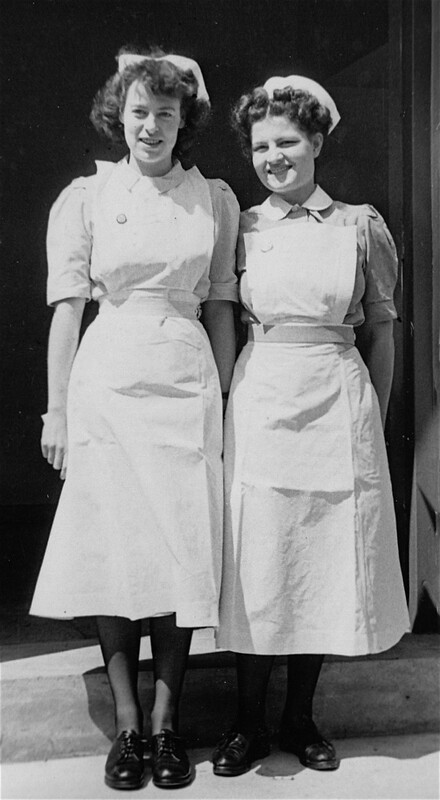 The Maternity Hospital continued to serve the community throughout the 1950’s and 1960’s, under the expert guidance of matron Elizabeth Thornley and of Dr John Lewis. They both retired in June 1970. “In the ‘Dispensary’ we were very well looked after. Our day began with the first metal trolley, full of bed pans. Then came the second trolley with bowls of water for a wash and brush up. After that came the third trolley with about ten babies, rolled up in blankets like little mummies. We fed the babies and off they went on their trolley. Next the ward was cleaned very thoroughly, after which we had a visit from the sister. Then we were required to sit up and in came Matron. 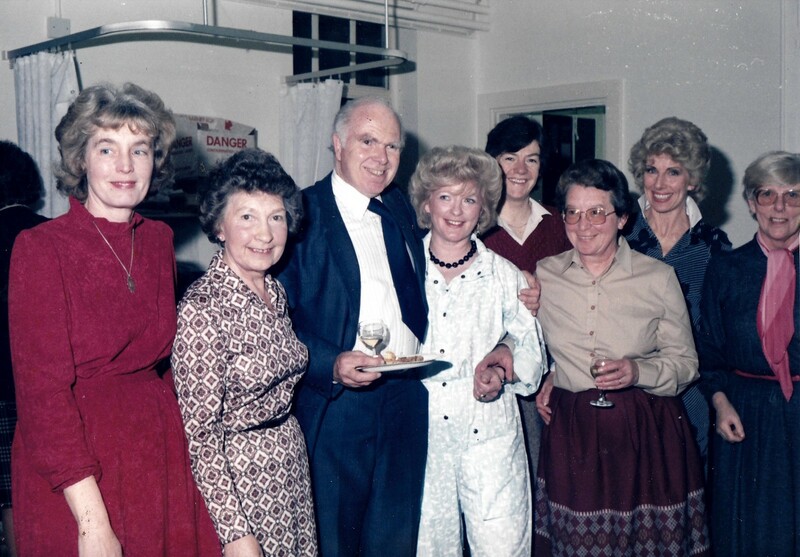 Dr G. Ince, a local General Practitioner with a Diploma in Obstetrics, worked at the Maternity Hospital from 1974 and was called in at any time of day or night to deal with normal and abnormal deliveries such as forceps and caesarean sections. Similarly on call were Dr. Danny Bevin and Dr. Anthony Williams of the same GP practice. Dr Ince says this became much easier when the bleep system was introduced, with a tone for emergency labour ward calls and another for his surgery. 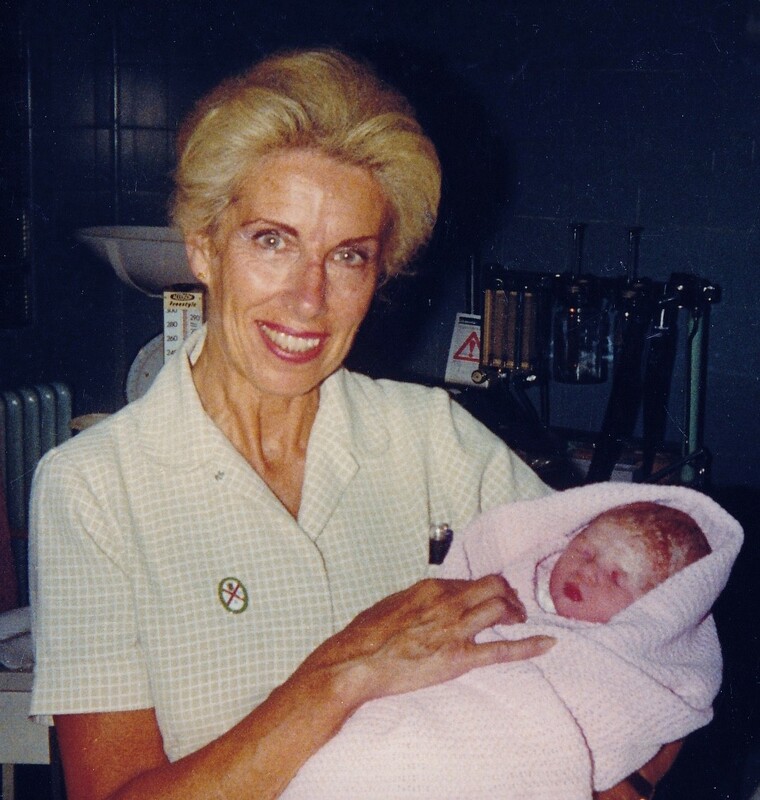 In 1980 Mrs Shirley Harwood became Head of Midwifery and I came in 1986, as her deputy and Tutor for the General Nurse students undertaking their Obstetric module. The senior medical staff were Mr. John Day and Dr. Donald Fullerton, Obstetricians, Dr. Clifford Spratt, paediatrician, and Dr. Donald Sayers, anaesthetist. 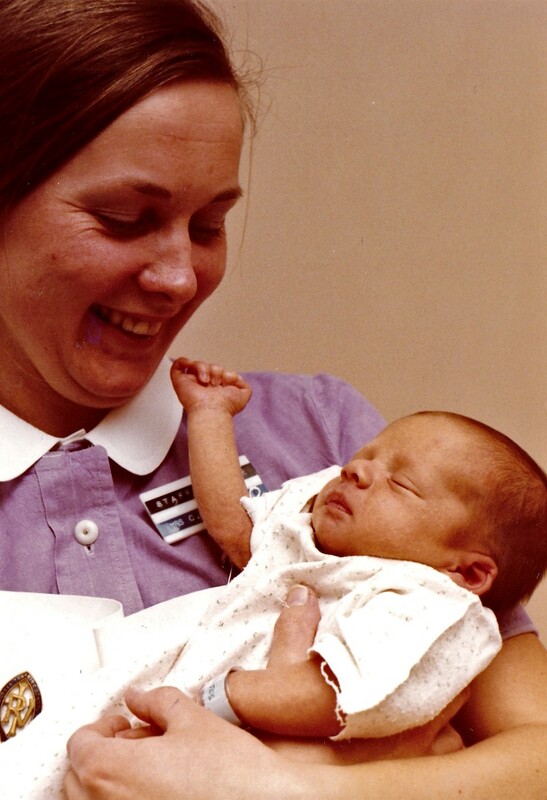 In October 1987 the midwifery service was transferred to Jersey General Hospital to a purpose built Maternity Unit, leaving the building unused. By 1991, the Le Bas Centre — now so called — had been refurbished as a care centre for Family Nursing and Home Care under the Direction of Mrs Barbara Waites. Other services housed there were Public and Environmental health services, mammography and Well Woman services. In its final change of function (so far) the Le Bas Centre is now in use by Child Social Services. The following personal stories and anecdotes came to me either as a result of a 2015 JEP article, from one of my radio requests, or from subsequent interviews kindly agreed to. I thus collected more material than I have space to include here, but I am most grateful to all my informants. I have arranged their contributions (roughly) in chronological order. Mr. Arthur Shales tells me he was a patient at the Infirmary in 1935, aged eleven, after jumping over a wall, being hit on the head and and knocked out. After two days there, he ran off and headed down La Motte Street with a nurse chasing after him. The scene was seen by a car driver who cut a cross his path blocking his way. He was caught by nurse and returned to the Infirmary. At the time of the Evacuation to England in 1940, Dr John Lewis stayed behind to look after his patients, and found an almost foolproof hiding place (this from his book Living with the Enemy, p75). He took some bricks out from the side of the chimney in his drawing room and concealed a wireless set in the wall. The electric lead going to it was visible, but he managed to make it look like a connection to a hand lamp and was certain it would pass if the house were searched. It was never found by the Germans. 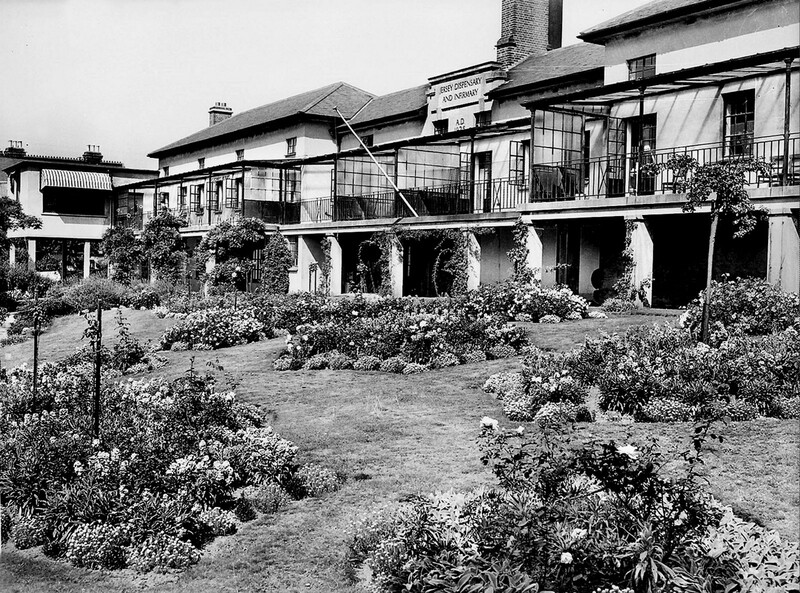 The JMH was seen has a sort of holiday home and rest cure for mothers who had babies there, with excellent food for those straitened times, as was confirmed by many of those I interviewed. The catering was undertaken by Miss Nell Brett (a good friend of Miss Thornley), with goods from a productive kitchen garden, and certain allowances from the authorities. The meals “would have borne comparison with those of a good hotel under peacetime conditions” [A Doctor’s Occupation]. Mrs E Le Breton had her daughter at JMH in 1942, after a very complicated but vaginal delivery. She was very sick and, on coming round, found herself in a ward with a lady suffering from puerperal sepsis. Once all the mothers were infection-free and fit to return home, the task of rendering the premises germ free began, and as the Germans had taken over the sterilising plant at the hospital, such work had to be carried out by the existing staff. A thorough cleaning of every part of the building and all beds and equipment took place. Some volunteers washed blankets in their own homes and sheets were washed at the General Hospital laundry. Staff were magnificent, as were Red Cross nurses and many voluntary workers. The whole building was then left to dry for several days: as the weather was warm and sunny, doors and windows could be left open day and night. Gerald Bisson, born in the Jersey Maternity Hospital in September 1944, believes he was the heaviest baby born during the Occupation. He told me that as he was so big, his mother was accused of being a black marketeer. Gerald also relays the following story as he heard it. American Officers were captured by the Germans in a commando raid; one of them had been in bed and was taken in his pyjamas. They were brought to Jersey and placed in Victoria College, but allowed to walk in the grounds, where they could be seen by staff at the Maternity Hospital through the back windows. The staff tried to talk to the officers, but they had been ordered to speak to no-one. I visited Mrs Joyce Egre — 93 and very alert — who told me she had belonged to the St John’s Ambulance and worked with VAD and then from 1945 she worked at the Infirmary for two years. She remembers Miss Brett, the housekeeper, bringing them custard and always providing good food. She also remembers Dr Lewis as being very good and the same with everyone. Joyce was ‘told off’ for putting red and white flowers together (a superstition as red and white = blood and bandages). At Christmas, Matron gave all the staff a candle. Joyce also talked about German babies being kept together in one of the big wards; she found the Germans to be very caring. 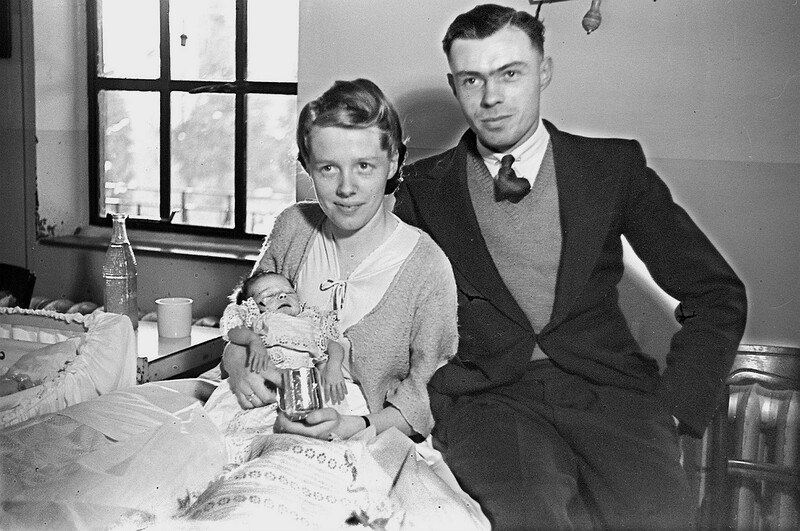 Dr Lewis delivered Joyce’s first baby, a daughter, at the Maternity Hospital. Mrs Pamela Shales (née Fisher) is the wife of Arthur, with whose anecdote of running off I began this section. Pamela worked as a Nursery Nurse at the JMH from 1947 to 1950, when she married Arthur. She was there at the opening of the JMH in 1947. She described Sr McNicol as being a lovely person, Sr Dorey as very strict. The women paid £10 for a week or ten day confinement, including meals and everything. When Princess Elizabeth came to Jersey, Pamela was among those chosen to go with Matron to Howard Davis Park to present a bouquet to Lady Jersey. Pamela loved working at the Maternity Hospital and after leaving in 1950, had her own babies there in 1951, ’54, ’56, ’57 and ’63 — one delivery producing twins, which were a surprise. This resulted in six daughters, one of whom now works at the Le Bas Centre. Now for another Pamela — Mrs Pam Pinel, whose mother Doris had been delivered of Pam by caesarean section undertaken by Dr. Lewis in October 1940 at JMH. Her mother also had a boy there in 1946, who sadly died after nine days. She was dreading this second delivery, as the first time matron had strapped her down for caesarean section. Sadly, Pam’s own first baby, a boy born in 1961 after a twenty four hour labour and an emergency delivery and lots of stitches, died and was put into a side room. She was allowed to see only his face and hands. Pam says she was so sore she could not sit down for three weeks. She went on to have four more children. Husbands were allowed to visit for 45 minutes each night, and children were not allowed. Mrs Jean Vinrace (née Dimond), a Nursing Auxiliary worked at JMH from 1948 until getting married in 1955; then after raising her family of three boys and two girls, she returning to work at JMH from 1968 until her retirement. She was an excellent, caring and respected member of staff. Jean relates that life as an Auxiliary was hard in her early working days. There was endless sluicing of rubber aprons and covers. There was a shute outside the Delivery room and the sluiced articles were then sent down it to the laundry, after which they had to be hung on racks to dry. Once when there was a strike of domestics, staff smuggled baby laundry home to wash it. Domestics were paid more than auxiliaries, who only got £3 a night. However, the union upgraded their pay. At night in any spare moments such as during visiting hours, they had to make up kaolin poultices, cord ligatures and cotton wool balls, placing the cotton wool on radiators to fluff it up. The Staff she remembers include Miss Thornley the Matron, followed in that role by Mrs Tranter (née Hodge). She also recalls Miss Brett, the cook and housekeeper, Sr Duff, Sr Braines (née Richomme), labour ward, Sr Best, and Sr McNicol who married to become Mrs Shandier. Sr Robson was a lovely lady, but sadly had to leave as she became addicted to entonox (a nitrous oxide and oxygen mixture used for pain relief). Mrs Elsie Rice was Matron after Mrs Tranter. Mrs Dorothea Newling was the Almoner and Pharmacist and had a minute pharmacy in the basement. Jean also remembered some of the nurses, such as Nurse Baudain, a Miss Moignard, (Moggie) an Enrolled Nurse who worked in the nursery. Jean describes her as “quite a demon”. She also talked about a lovely enrolled nurse named Mary McVicker (known affectionately as Mac). I also knew and worked with this wonderful lady who became a friend, she retired in 1985 but continued to help in a voluntary capacity assisting at clinics. She was sadly diagnosed with a brain tumour and passed away peacefully at Clarkson House in 1991. 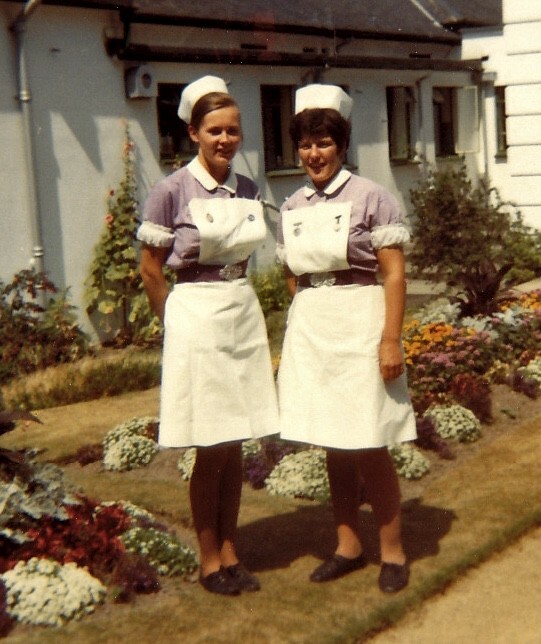 When Jean returned to night duty in 1968, some midwives used to bring in food such as lamb chops etc. for the auxiliary to cook. Once when she was cooking, she could see husbands escaping down a slope through the kitchen window. However, the then Chief Nurse found out and stopped it. She banned all care staff from cooking. Once, on entering the kitchen, Jean found a rush of cockroaches. “When in labour you had to take in with you a binder, detox, sanitary pads, talc, soap, shampoo, and safety pins. You were in for a week. Babies were kept in a nursery, all swaddled and brought out together on a trolley for feeding, never left by the bed. Siblings were never allowed to visit you, and husbands were not allowed to be with you for delivery, but only allowed to visit once a day. They could see their offspring only from the nursery door. “Babies were nursed on their tummies with arms above heads which I quite liked, but this is not seen as safe today. Moggie, the nurse who looked after the babies was a demon. She wore a green uniform like Mac, who was a wonderful Enrolled Nurse, and loved her work and was loved by everyone. One day, sitting up in Collas Ward reading and breast feeding quite happily I was told, ‘if you cannot give baby time, you should not be a mother.’ You were in hospital for a week and Almoner Dorothea Newling waited to collect money, in her white coat. I was not sure if I could raise £9 in 1956- 63”. Mrs Cynthia Warren worked at JMH from 1969 to 1974, when she resigned to have her own children. The first, in 1974, resulted in her staying in JMH for three weeks with pre-eclampsia. She was well looked after, had a healthy baby and two more girls in 1976 and 1979. Her husband Paul was also born there around 1946. Cynthia confirmed the accounts of Sr Blower (see below). She then relayed a story a Jehovah’s Witness lady who had a severe bleed after delivery, but refused to have blood replacement. Her GP had telephoned several relevant bodies to see if they could override her decision, without success. The lady lived! Cynthia told me that Dorothea Newling, the almoner/ pharmacist controlled the stores and would only let the staff have things in very small amounts. For example they could only get six pads when they could do with six dozen, often having to ‘make do’. She also remembers many hours spent in the Milk Kitchen were midwives had to make up all the different feeds (no prepared milks then). This she says then left minimal midwives in the labour ward and other areas. Cynthia also talked about them putting a float in the Battle of Flowers (she thinks in 1970). They made up a Victorian Sampler which they pulled round. They collected their own hares-tails and Dorothea Newling used to to dye them. Another midwife, Hilary, at JMH from 1975 to 1991, working two nights per week, told me about the Ghost, thought to be a lady from many years ago, looking for her baby who had died. She says the staff who saw her never felt threatened. Here Christine Moulson tells her own stories of the Maternity Hospital. “I enjoyed my work as a midwife and noted that the greatest killers of the century amongst child bearing women were puerperal sepsis, haemorrhage and toxaemia (dangerously high blood pressure) which can be life threatening for mother and baby. “I was told that during the Occupation, patients needed to be separated, those in Collas Ward being local people and often seen to be slightly inferior, whilst Edward Ward was used for those having babies of the Germans and often referred to as ‘Jerry-bags’. “When I started work at JMH, Miss Elsie Rice was Deputy Matron. This lady had worked through the Blitz in Bristol and had received the George Cross for bravery, having delivered a baby in a basement with hardly any facilities following an air raid. She was a wonderful midwife. “During my time at JMH, I also encountered a very eccentric Night Sister, Sr Blower, who later married to become a Venables. She and her husband died many years ago and they had no children. It seemed that most of the doctors and midwives were afraid of her. In fact some GPs were known not to admit ladies for induction during the days when she was on night duty. “Once, a GP’s wife had just been delivered of their baby and Sr Blower would not let him in to see them, shouting from the window, “visit in the morning” (doors were locked at night). Another time, a GP came in to carry out a caesarean section, and as Sr Blower could not find the skin lubricant she passed him the trolley cleaning fluid — lo and behold, no irritation and no infection! As she had poor eyesight she used to tell the surgeons to thread their own needles. “One night, my friend midwife Cynthia Warren came in for night duty on a bike that I was supposed to go home on, but forgot. Cynthia was called before the end of the night to a delivery which Sr B wanted to be present at, so she telephoned to tell her that the lady had given birth. However Sr B was on the phone telling the husband that his wife was not in labour. Cynthia was then sent out on her bike looking for the husband to enlighten him. “It was not only staff that suffered the wrath of Sr B. She always used to lock the car park at night. One night 4 or 5 policemen, having enjoyed a function at the Woodville Hotel, returned to the car park to collect their car. She told them they had parked illegally and would not let them take the car; she sat on the bonnet for 30 minutes, and they eventually started to drive off with her still on the bonnet! “When Sr B was on duty, we had to collect all blood and placental from deliveries for her garden. She grew peaches, grapes and lovely roses. In Autumn she would bring in fruit for the staff to eat however some of us did not enjoy it! “On another occasion with Sr B, a baby was born in each of the two delivery rooms, one of which was stillborn. As we had only one set of scales, my colleague went to take the scales out of the other room to weigh the live baby, and Sr B refused to let her take them. However when Sr was not looking she took the baby to the Special Care Nursery to weigh it; on returning she was caught. “There’s another story involving Bett Loxton who was a smoker and always had a cigarette in the kitchen 30 mins or so before going home. She thought Sr B was writing her report but she came into the kitchen and Bett threw the cigarette into a drawer then had to pour her glass of water into the drawer to put out the cigarette. Sr B did not comment. Sr B was very tall and broad, she towered over us and we were often in tears! “Another sister, Sr L (with us only a short time) accused me of being a drug addict when I gave pain relief in an emergency. Other staff were receiving a night report. I completed the relevant documents for countersigning, keeping the empty Pethidine ampoules (often done at that time in an emergency). Sister wiped the floor with me. “On another occasion a non-English-speaking lady was admitted at 35 weeks pregnant, accompanied by her non-English-speaking family. Understanding the problem was difficult. Using a vaginal speculum and with difficulty, I removed a squashed banana. “When a patient was due to come in, in labour, the door in the corridor would be opened to await her arrival. At one such time, a tramp moved in, to be found sleeping on the couch. Police had to be called to remove him before the lady arrived. “I remember a Midwife Janet Robbins who married the head gorilla keeper at the Zoo, and Dr Carter (first paediatrician at JMH, died in 1970s) gave advice and worked out a feeding regime for a new baby gorilla, called Assumbo. JMH also provided an incubator for the baby gorilla. Dr Carter’s wife used to bring in little pots of flower arrangements for the wards and the staff. “There was a Miss Moignard, known as ‘Moggie” — a Nursery Nurse and qualified Nanny, felt by some to be quite fierce and firm. She was there during the five years of the Occupation, and many of us had great faith in her. She worked mainly in Edward ward and knew who the ‘Gerry-bags’ were. I got on well with her and used to visit her occasionally as she had no one. During the Occupation they had to tear up underwear to use for cloths; and once Miss Moignard described a caesarean section been carried out by the light of one candle. “Rosie Lowery (now Mrs Salisbury) was delivering a baby assisted by myself, on the night of the Nurses’ Ball. Rosie had been off from 10.00 until 14.00 to have her hair set and have a photograph with her posh hairstyle. What we thought to be the baby’s head with black hair was in fact a bag of meconium. We were both looking down, as we thought, at the head, when ‘pop’ went the bag, resulting in fresh meconium all over Rosie’s new hair style, and I mean all over (she was a natural blonde). There followed a rapid delivery of a very healthy baby, with good Agpar scores. Matron Elsie Rice appeared as word got round and she told Rosie to telephone her hairdresser, who kindly redid her hair at the end of his busy day. “On day duty, visiting hours were very strict and one husband was late visiting his wife climbed up the drainpipe and into Edward ward day room after evening visiting.